It is critical to work with a top agent in your market to represent your interests; someone who’s reputation and experience are impeccable, and who can advise and guide you efficiently through the transaction while meeting or exceeding your goals. With me, I think you’ll find a practiced depth of knowledge and experience, a willingness to listen and understand your needs, and long, proven track record of very happy past clients. Some of their experiences can be found in their frank reviews on sites like Zillow, Yelp, Google, and others. And of course, I have a long list of references from clients who have bought and sold everything from multi-million properties to that first condo. Get guidance and council from a true professional who has practiced real estate full time since 1993, and who puts your interests first. Because really, there are only two kinds of agents; those who work for themselves, and those who truly serve their client’s interests. In 2017 I was the #6 top Individual Agent in the #1 Individual Office RE/MAX on the United States. My representation of your interests and work to market and sell your property are paramount. I take the time to listen and learn about your specific needs in selling your property, and then move forward to achieve those goals. Once you’ve made the decision to sell, I’ll advocate fiercely for your interest throughout the transaction, and beyond as well. I’m gratified to be annually recognized as a Five Star Professional Agent, one of just 3 1/3% of all the agents in the metro Denver area. 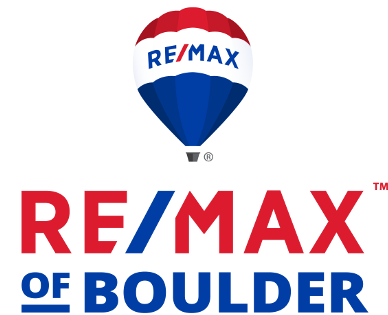 Nominations are made by clients of the past year and vetted through both my peers and the Colorado Real Estate Commission. That reputation is hard earned since 1993. In sharing my knowledge and experience with so many clients I have had the pleasure to work with, I am passionate about serving their interests. Many have returned and refer their friends and family. Call or email if you’d like to chat and understand how I may be able to help you reach your real estate goals. It is my pleasure to serve!